This route is the most popular. 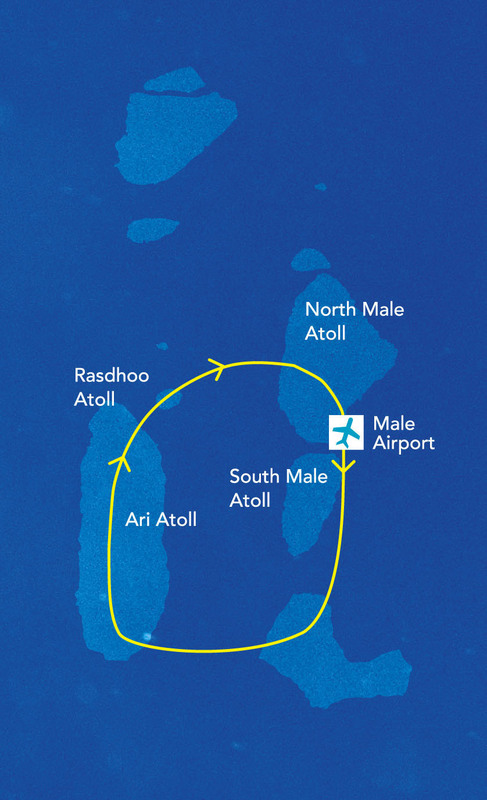 We can take you to South Male-Atoll → South Ari-Atoll→ North Ari-Atoll →Rasdhoo-Atoll → North Ari-Atoll. This tour includes Manta point and Whale-Shark area. In Rasdhoo-Atoll, we can try to search Hammerhead Sharks too! 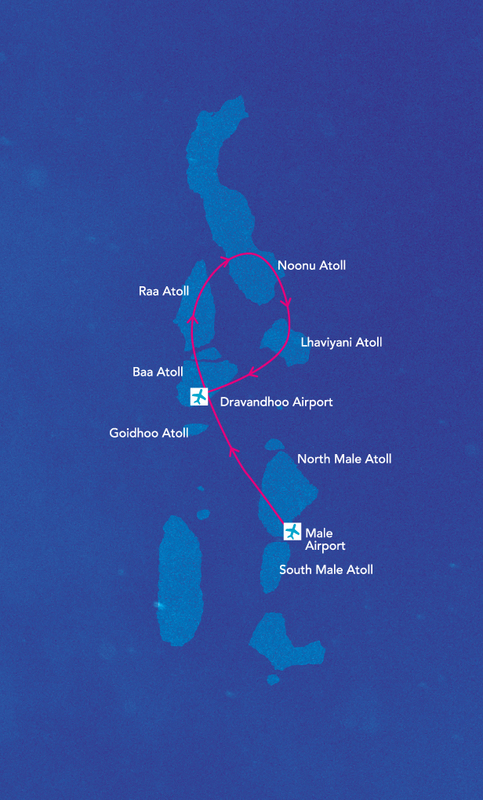 The route is suitable for the guests who cannot take a long holiday but want to enjoy Maldives! 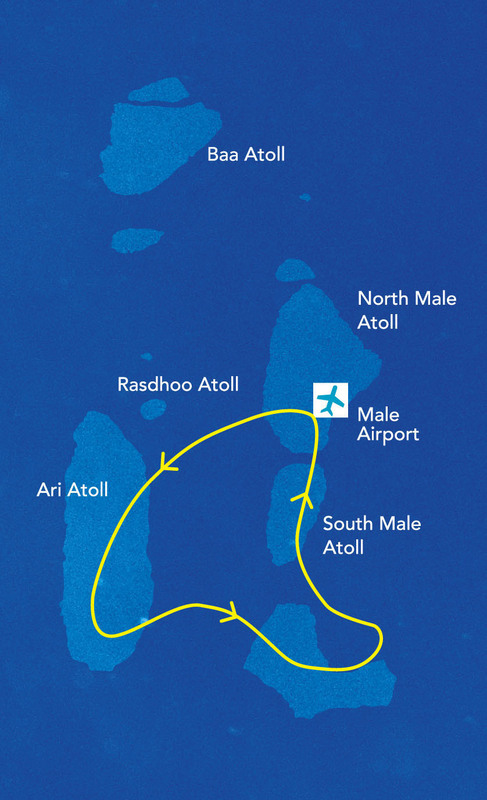 The trip covers South Male atoll and and Ari Atoll. You can enjoy whalesharks and mantas with just only for 3days diving! 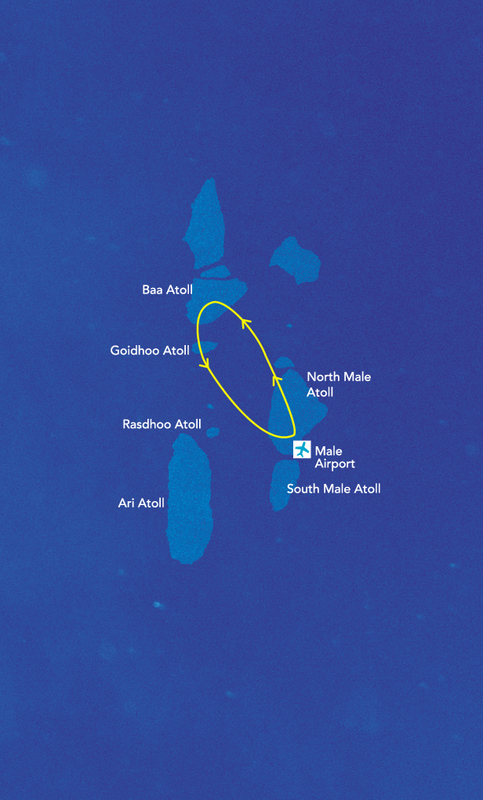 Baa-Atoll is the hottest and becoming very famous area in Maldives in recent years. 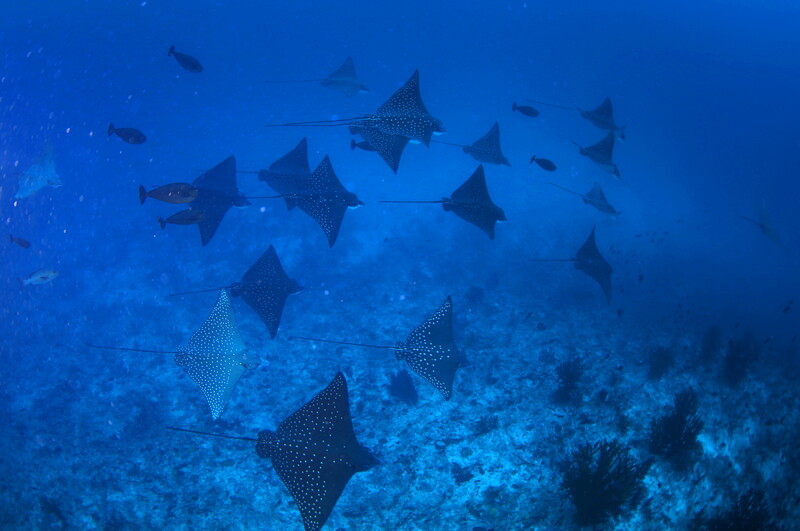 Only in the rainy season, we have a chance to see "Aggregation of Mantas"!! 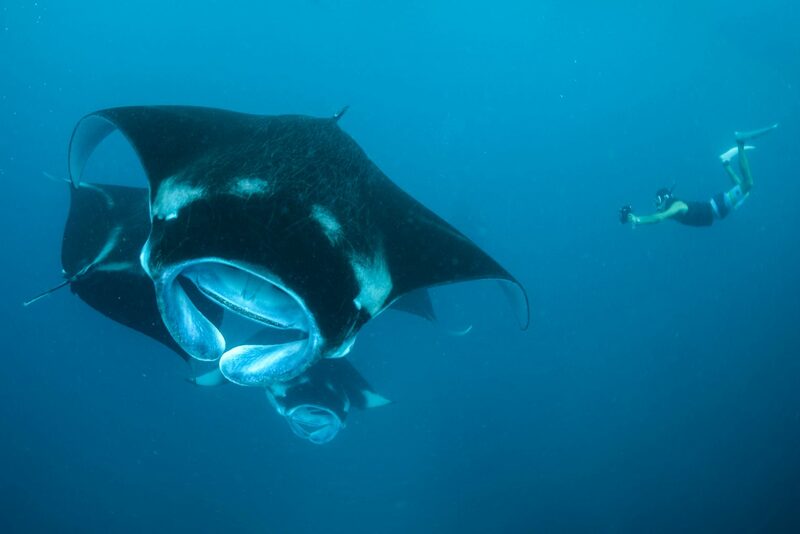 We have a chance to see over 50 Manta rays in one dive!! And if you are very lucky, a Whale shark is coming through these mantas. 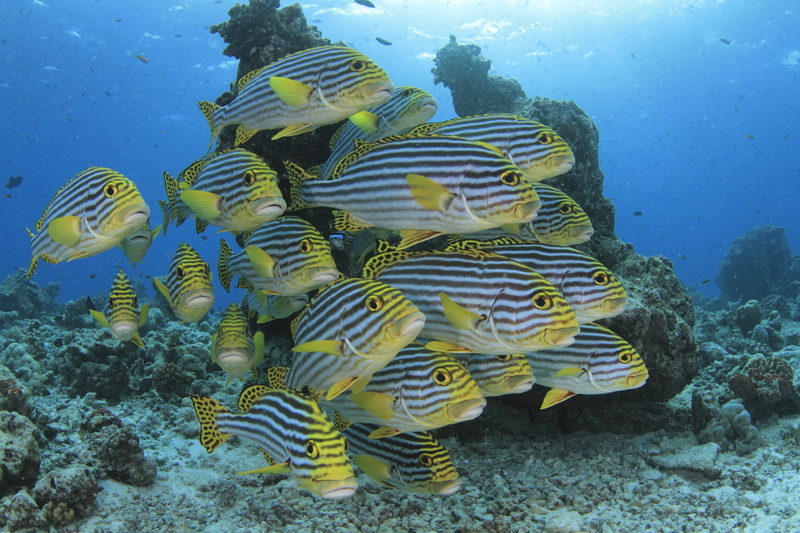 In Felidhe-Atoll we can enjoy dynamic channel dive. Strong in-comming current is pushing big staffs to the corner. 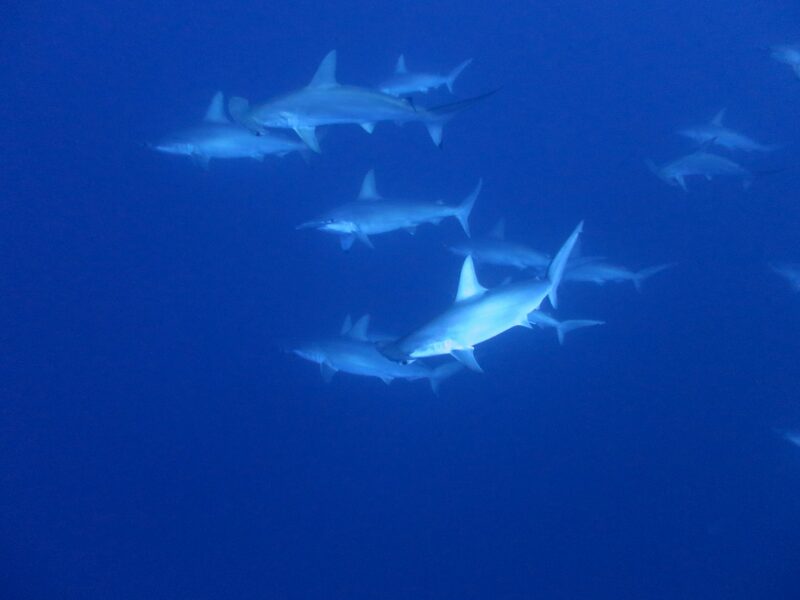 On the corner, we have a chance to see Gray-reef Sharks, White tip-reef Sharks and schools of Eagle-rays! If you are very lucky, you might see Great-Hummer! Everything you hope for is in this FULL TRIP. 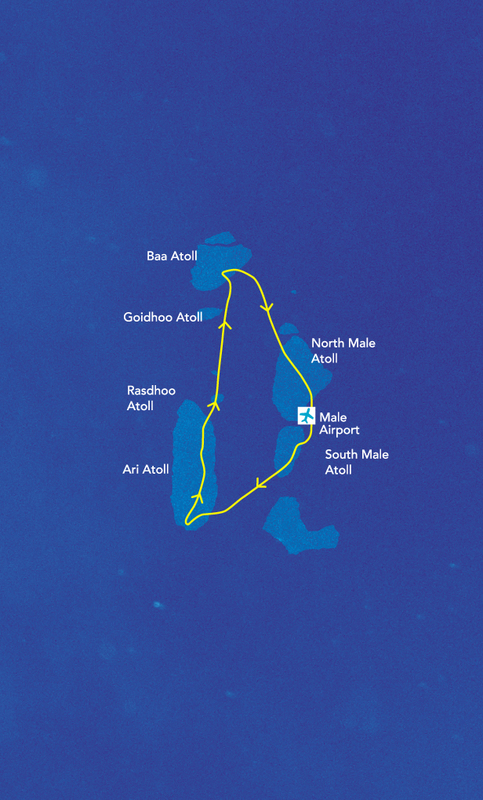 We will take you to five Atolls "Baa atoll, North Male Atoll, South Male, South Ari atoll and North Ari Atoll." 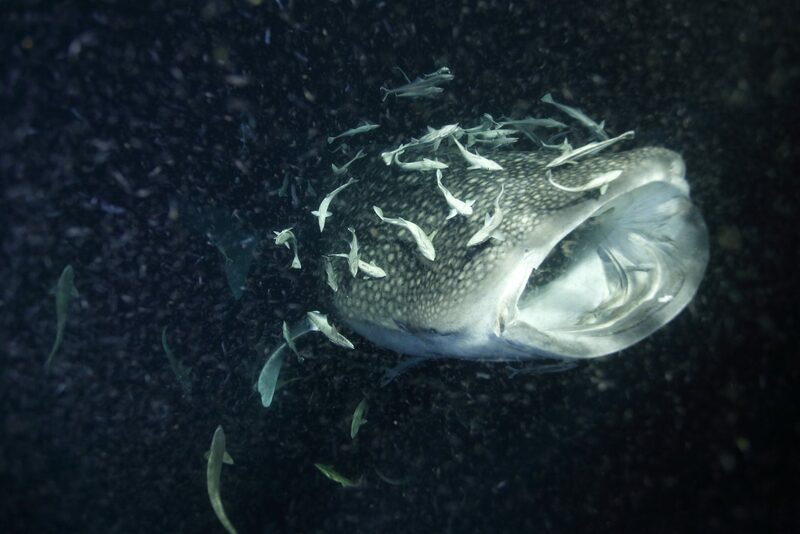 You have a lot of chance to see aggregation and feeding dance of Manta rays at Baa atoll, on the other, you may encounter WHALE SHARK at Ari atoll. Linited special trip in October and November. 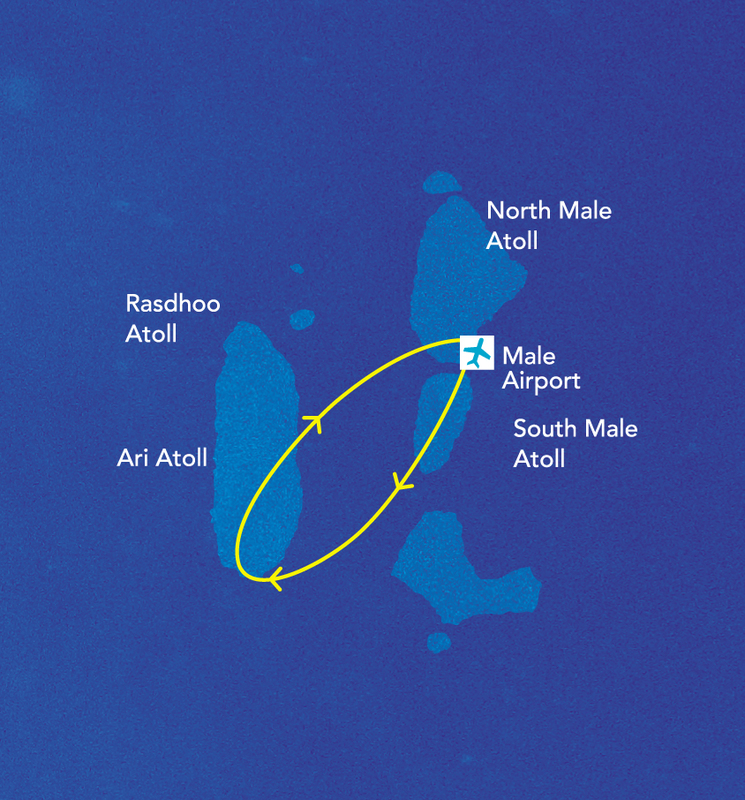 Focus on Baa Atoll further North. 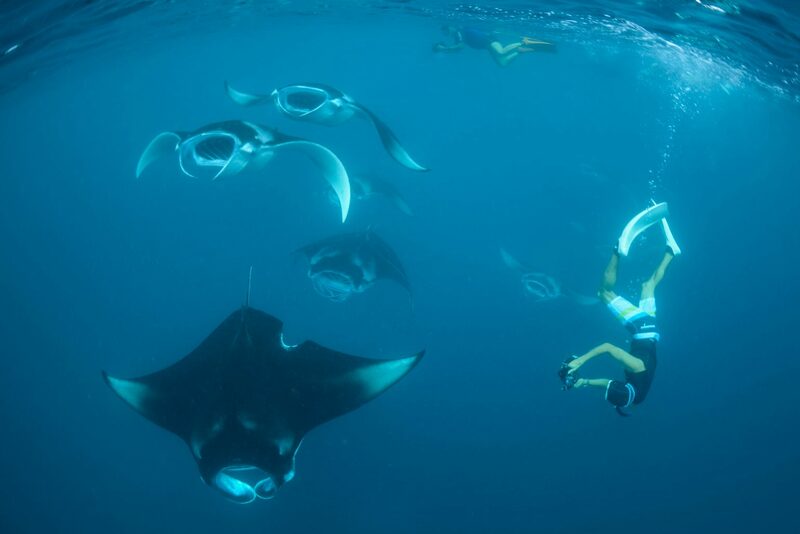 You aim for a school of Mantas in HanifalBay by snorkeling and we aim for Manta rays go round and round by diving. 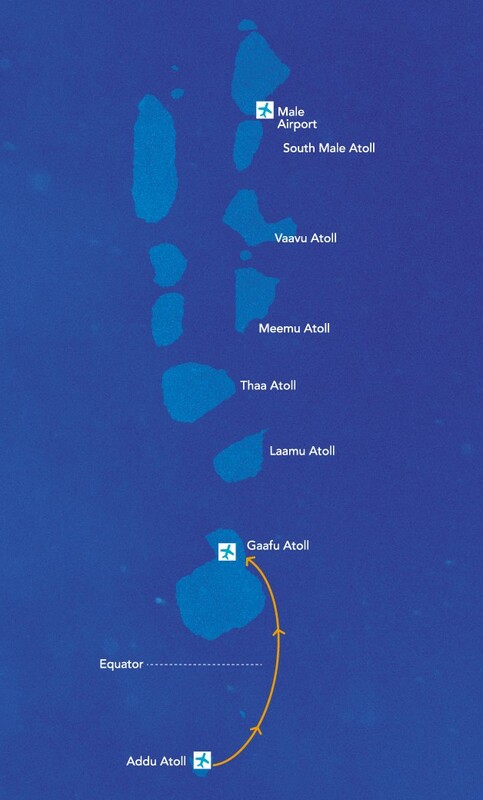 From Lahaviyani Atoll with some untouched ocean to Noonu Atoll to Haa Atoll. 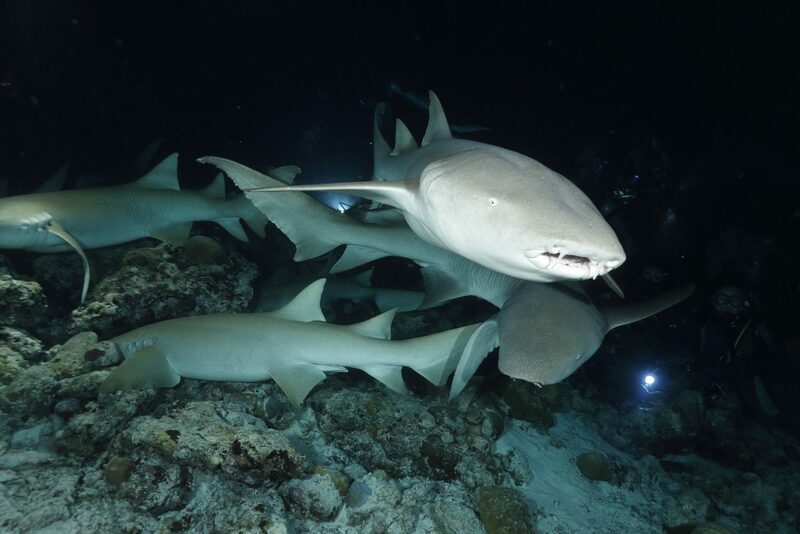 Grey Reef Sharks, WhiteTip Sharks and Black Tip Sharks can be spotted here. This course lets you feel the wilderness with the variety of young Cardinal fish often covering your eyes in this season. Limited special trip in October and November. Focus on Baa Atoll further North. 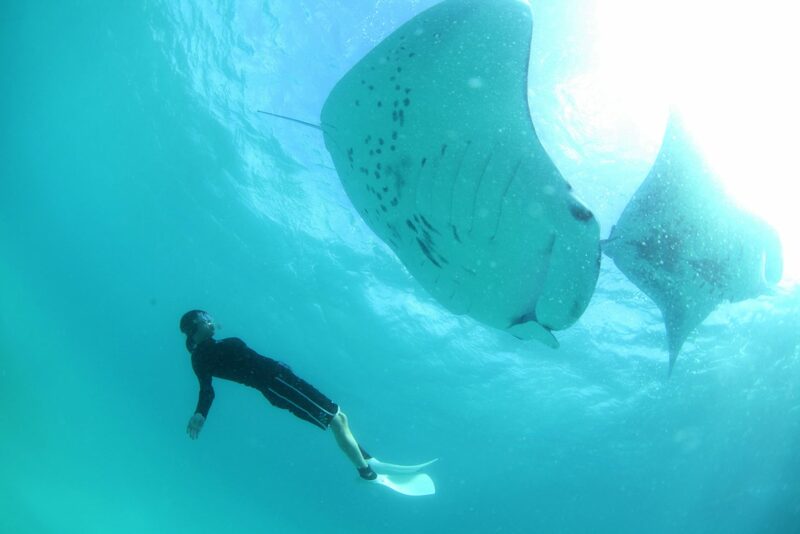 You aim for a school of Mantas in HanifalBay by snorkeling and we aim for Manta rays go round and round bydiving. Limited Special Trip in February and March. 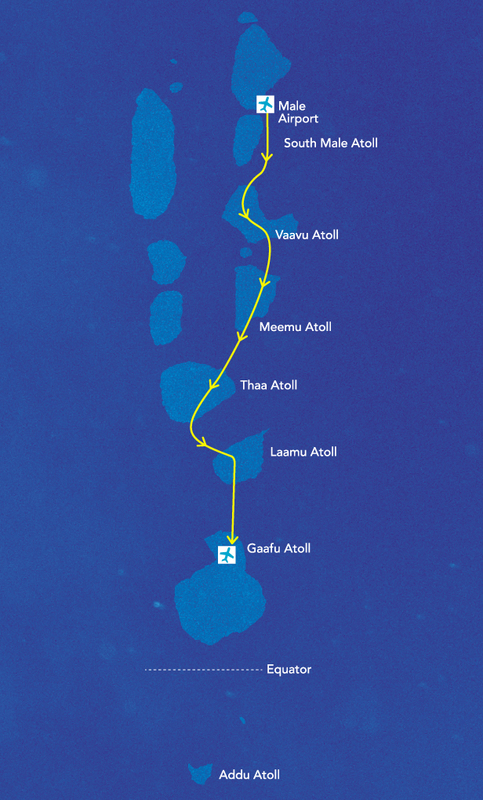 From South Male Atoll to Gaafu. 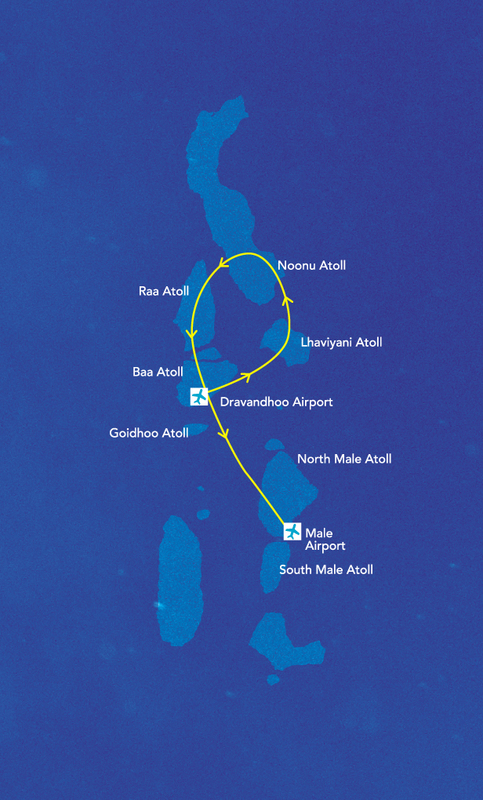 This is the only trip with the dynamics of and the true excellence of the Maldivian sea!!! Channel diving is the main diving style. You will be greeted with unexpected big creatures such as school of Giant Barracudas, Bigeye Jacks, and Grey Reef Sharks and Hammerhead Sharks. The diving at the Gaafu Atoll, the largest in the Maldives, is equally fascinating! Extra ordinary ocean waits for your arrival with schools of Spotted Eagle Rays and Whale Sharks. Limited to those with total diving experience of over 200 logged. Limited Special Trip in February and March. Sail across the Equator ! Channel diving is the main diving style. You will be greeted with unexpected big creatures such as school of Giant Barracudas, Bigeye Jacks, and Grey Reef Sharks and Hammerhead Sharks. 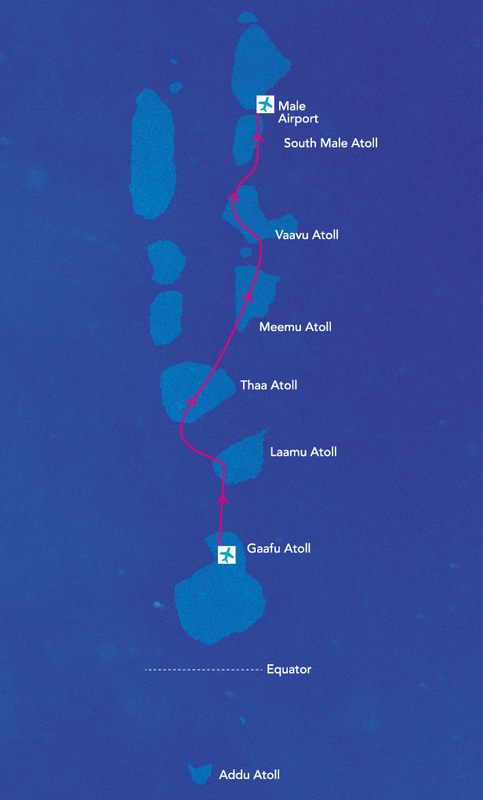 The diving at the Gaafu Atoll, the largest in the Maldives, is equally fascinating! 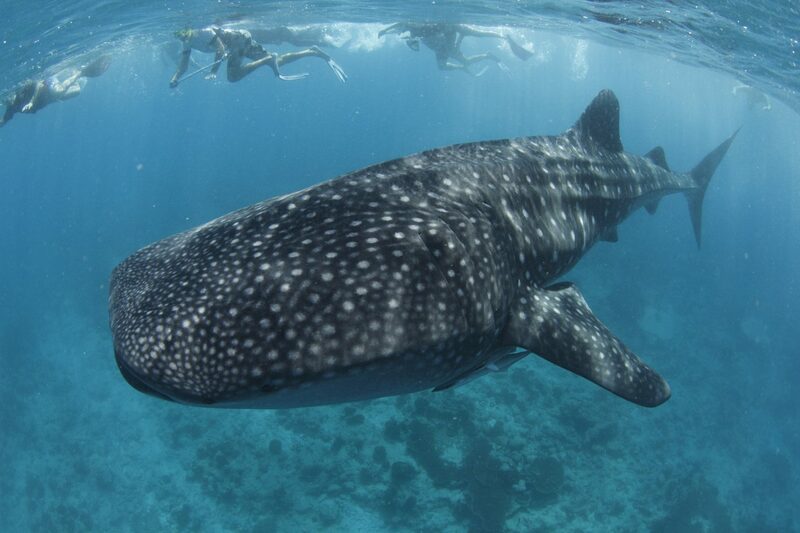 Extra ordinary ocean waits for your arrival with schools of Spotted Eagle Rays and Whale Sharks. Channel diving is the main diving. You will be greeted with unexpected big creatures such as school of Giant Barracudas, Bigeye Jacks, and Grey Reef Sharks and Hammerhead Sharks. 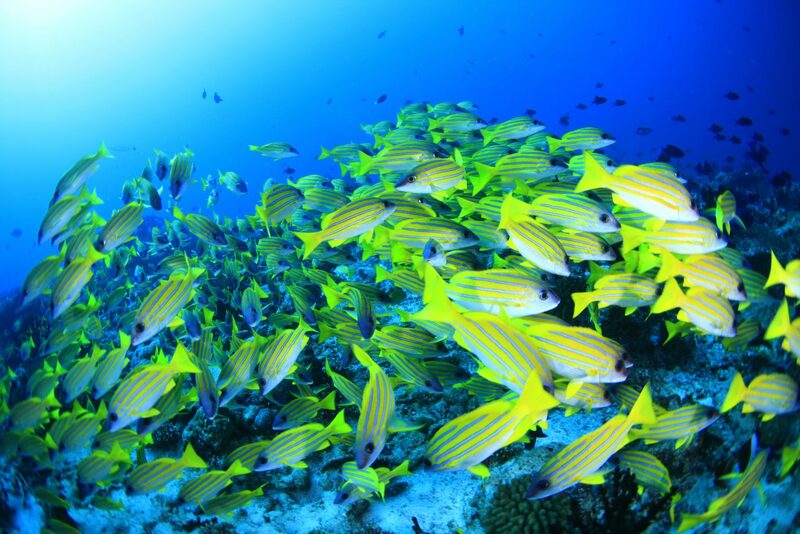 The diving at the Gaafu Atoll, the largest in the Maldives, is equally fascinating! Extraordinary ocean waits for your arrival with schools of Spotted Eagle Rays and Whale Sharks. This is the only tripwith thedynamics of and the true excellence of the Maldivian sea!!! 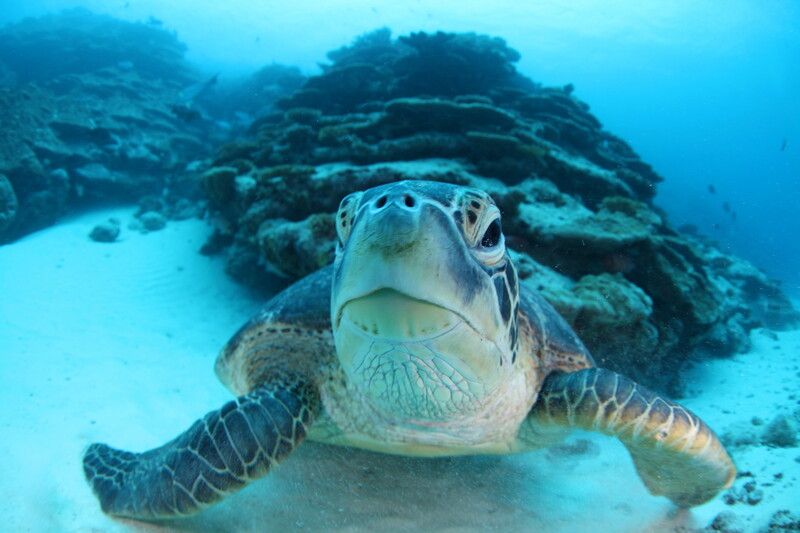 the largest in the Maldives, is equally fascinating! Extraordinary ocean waits for your arrival with schools of Spotted Eagle Rays and Whale Sharks.